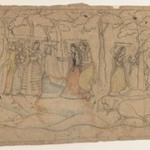 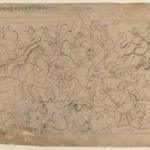 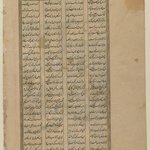 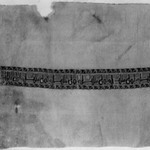 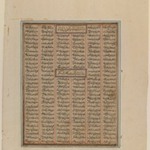 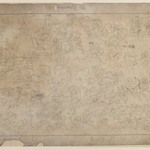 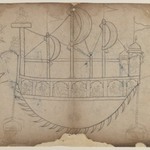 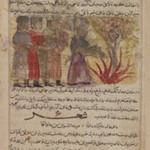 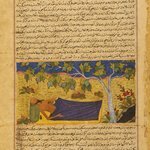 These pages belong to a dispersed illustrated manuscript and the first known copy of the Khavarannama by the poet Muhammad ibn Husam (d. circa 1470). 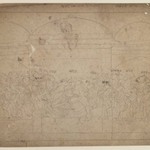 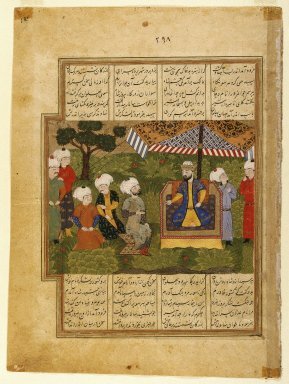 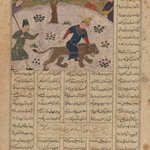 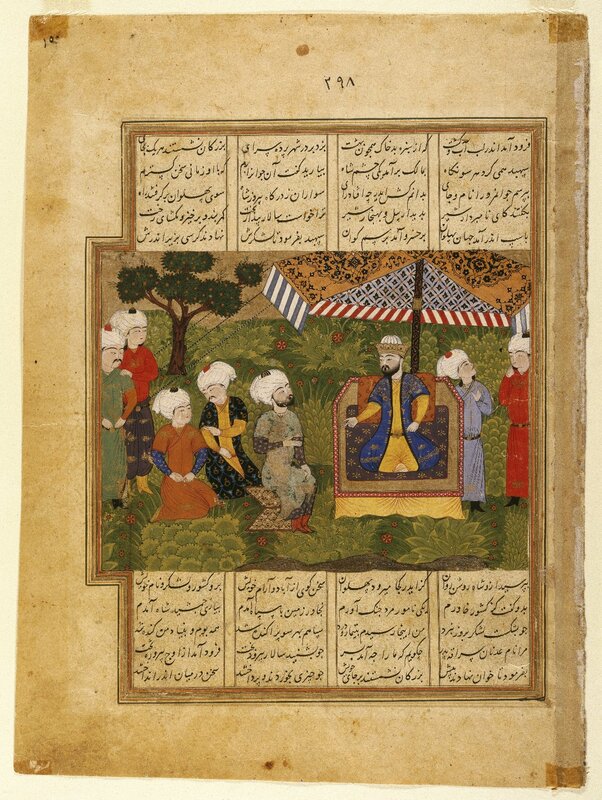 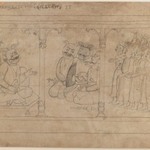 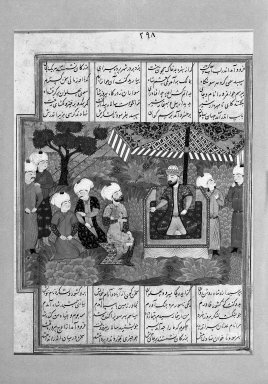 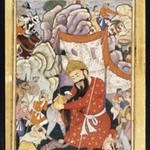 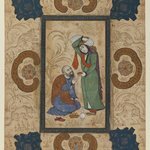 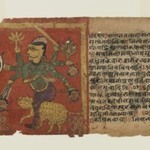 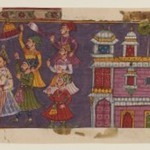 Modeled on the Iranian national epic, the Shahnama (Book of Kings), the Khavarannama details the life of cAli, the cousin and son-in-law of the Prophet and the most important figure in Shica Islam after Muhammad. 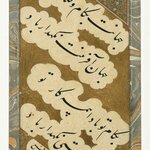 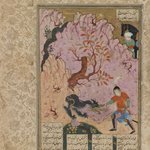 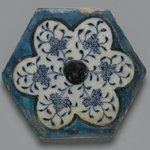 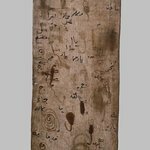 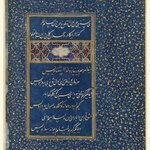 The manuscript originally contained 155 miniatures, which appear to have been executed some years after the text and display the vibrant colors and lush vegetation characteristic of the Turkman painting tradition of Shiraz. 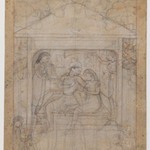 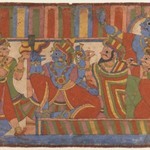 In one of the paintings shown here, the military leader cAdnan visits cAli, depicted as a enthroned king; the other shows a horseman lassoing a wild donkey as his companions stab a spotted leopard and shoot a wild goat. 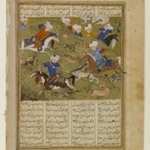 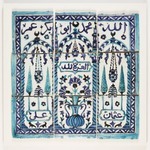 The text on the hunting scene includes the name of Said ibn Abi Waqqas, a relative of the Prophet and purportedly the first to accept Islam; he may therefore be represented in the illustration.